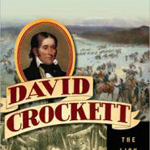 Based on the myth-busting facts presented in Michael Wallis’s new biography of Crockett, the lines in the song should have been “Born on a riverbank in Tennessee,” “Killed him a bar when he was in his teens,” and “Da-vid, Da-vid Crockett, The Lion of the West.” As for the coonskin-cap image, it would also have to go: he wore one only occasionally, after his legend had grown and people expected backwoods clothing. And don’t even think of calling the great man Davy—he was always David. Author and Tulsa resident Michael Wallis has three books coming out this year, one of which is a re-release. 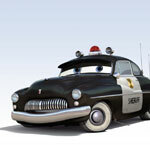 Cars 2 opens in theaters on June 24, 2011 and Disney/Pixar has now released three trailers for the sequel to the 2006 film which features Michael’s voice as the Sheriff of Radiator Springs. 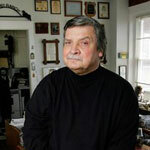 Wallis, author of acclaimed biographies such as Billy the Kid and Pretty Boy, has given readers a superb account of the real David Crockett, helping us to appreciate his place and time in American history.